Softer, gentle and more complete brushing of cats coats. 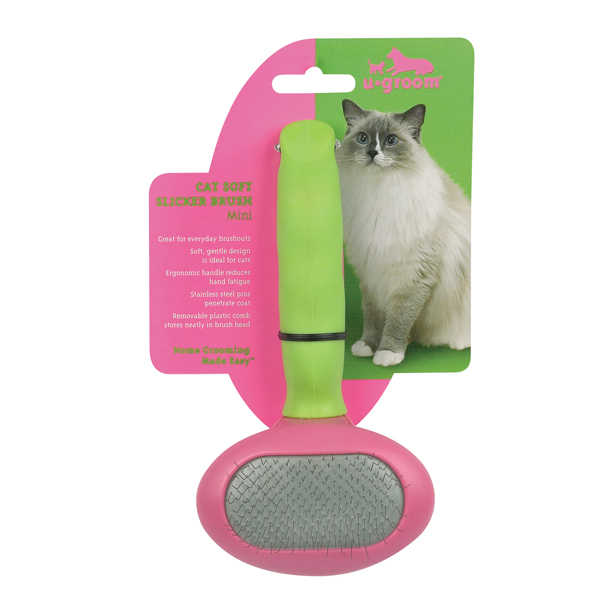 A softer, smaller design lets U-Groom® Cat Soft Slicker Brushes provide a gentle and more complete brushing of cats coats. Includes removable plastic comb stored in the brush head.